The Purestream ES, LLC BESST® (Biologically Engineered Single Sludge Treatment) process offers "State of the Art" Advanced Wastewater Treatment with effluents well below 10 mg/l BOD, 10 mg/l TSS, less than 1 mg/l ammonia, and less than 10 mg/l TKN. Phosphorous reduction below 3 mg/l is easily achieved through "Luxury Uptake". Higher Phosphorous removal rates can be achieved with the use of metal salts such as Ferric Sulfate. 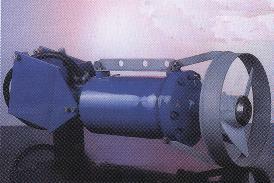 The BESST® can also be designed for installation in concrete tankage for larger municipal systems. Several United States Design / Build BESST® plants have already been installed and are in operation. The In-Eko BMF series Microscreen Drum Filter is made of 304 series stainless steel. Screen sizes down to 10 micron are available in a polyamide nylon and stainless steel mesh sizes down to 1 mm are also available. 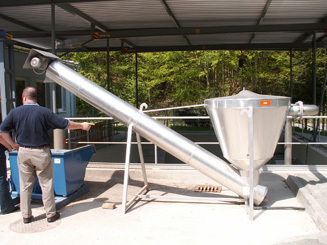 The stainless steel tank version seen here is available for flow ranges up to 1.8 MGD. 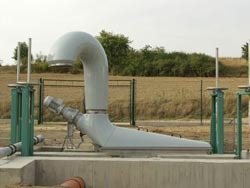 Concrete channel versions are available for flow ranges up to 2.3 MGD. The In-Eko Mechanical Bar Screen is constructed of 304 series Stainless Steel with opening sizes ranging from 1 mm to 12 mm. The continuous belt design is swept clean by nylon brushes which are equipped with adjustable tension springs. The debris that is removed from the screen is dropped into a screw press for dewatering. The Bar Screens can be custom made for installation in existing channels. 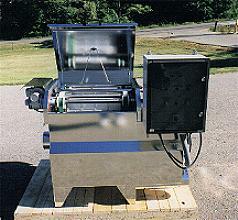 The In-Eko Screw Screen is available in 304 Stainless Steel and Fiberglass Reinforced Plastic. 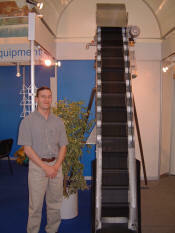 Designed for smaller flow applications, the In-Eko Screw Screen is available with opening sizes ranging from 1 to 12 mm. Either channel mount or with a flanged connection, the Screw Screen is a combination bar screen and screw press that will keep large solids out of your system while the full 360 degree rotating chute allows for flexibility in pressed screenings collection placement. In-Eko's Sand Separator is another headworks solution that will have a positive impact on your project by removing fine solids such as sand and grit. 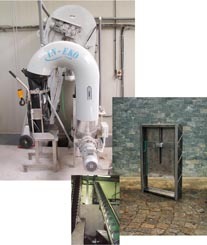 The Sand Separator helps to prolong the life of downstream equipment by removing damaging particles as well as being easy to operate and maintain. 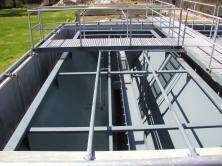 Its compact design makes it easy to include on existing wastewater treatment plants as well as new construction. The Sigma Lutin APM Series Submersible Mixer has a Stainless Steel propeller and shroud and is available in horsepowers ranging from 0.75 to 13.4. All sizes are available in 60 Hz., 230/460 Volt, 3 phase. 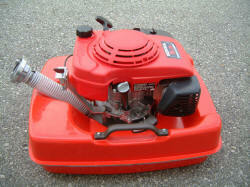 The 0.75 Hp model is available in 110/230 volt, single phase as well.